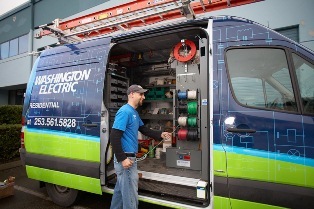 Washington Electric is one of the leading electrical contractors in the greater Kent, WA area that specializes in generators. We are a preferred dealer of Generac and Kohler home generators. No matter what time of day or night it is, losing your electricity for any length of time can be devastating to your home. Washington Electric offers power and electric generators at an affordable cost. Washington Electric knows that people and their needs always come first. We are available 24/7 for emergency generator repair and electrical issues. Here at Washington Electric, we want to make sure that you, your family, and your business are safe electrically at all times. We are dedicated to our clients and offer an assortment of generator repair and maintenance services. Washington Electric is a family owned and locally operated company. As one of the leading electrical contractors in the greater Kent, WA area, we take great pride in consistently delivering quality services at a price that is affordable. We always adhere to the local and state electrical codes and provide a comprehensive warranty on the work we do. 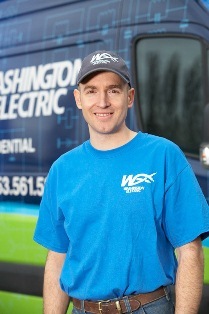 When you need an electrical contractor in the Kent area, call Washington Electric. Washington Electric sells, services, and maintains Kohler and Generac home generators. We are available for emergencies 24/7 for your convenience!